In October 2018, two articles about the EPAD project were published. 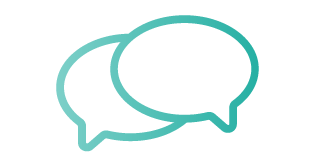 On 29 October, the journal Dementia published an article entitled “Research participants as collaborators: Background, experience and policies from the PREVENT Dementia and EPAD programmes”. The article led by Sarah Gregory from the University of Edinburgh (UK) described how the PREVENT Dementia panel forms the basis for participant involvement within EPAD project and highlighted the role of patients and the public as collaborators in dementia research. 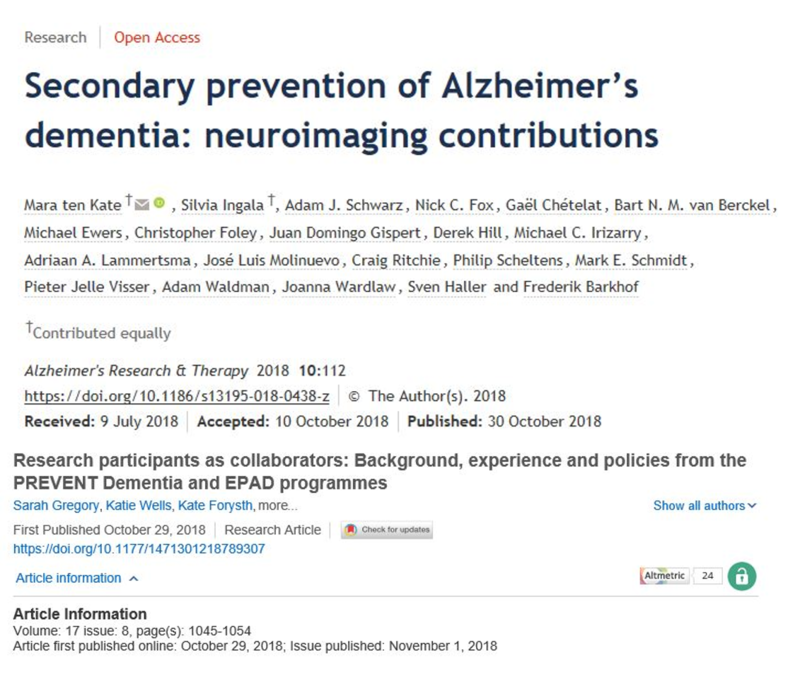 On 30 October, the Journal of Alzheimer’s Research & Therapy published online an article entitled “Secondary prevention of Alzheimer’s dementia: neuroimaging contributions”. The article discussed the use of neuroimaging markers in subject selection for inclusion or stratification in secondary prevention trials, their potential to serve as outcome markers in trials, and for monitoring trial safety. 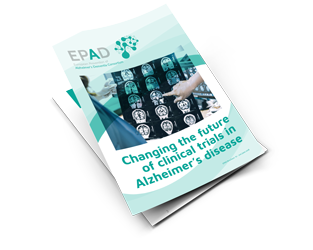 The article formulated practical considerations, neuroimaging recommendations for the EPAD Longitudinal Cohort Study. 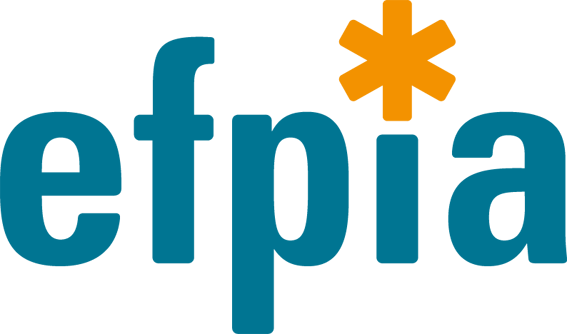 The article also mentioned the EPAD sister project Amyloid imaging to prevent Alzheimer’s disease (AMYPAD) as a large subgroup of the EPAD participants will also undergo amyloid PET, financed through AMYPAD.